Compliance is not optional, yet many charitable nonprofits do not fully understand the obligations nonprofits have to register for charitable solicitation. 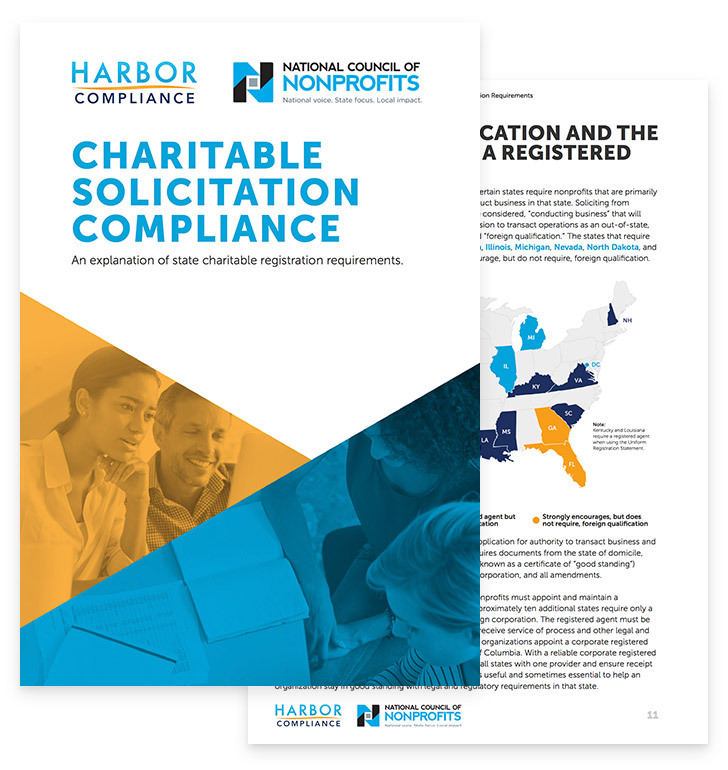 That is why the National Council of Nonprofits and Harbor Compliance have partnered to bring you a free white paper explaining the state charitable solicitation registration requirements. Information on exemptions, renewal requirements, extensions, disclosure statements, and more. © 2012 - 2019 Harbor Compliance. All rights reserved. Harbor Compliance is not an accounting or law firm and does not provide tax, financial, or legal advice.